This problem can be solve by using a typical DFS algorithm. 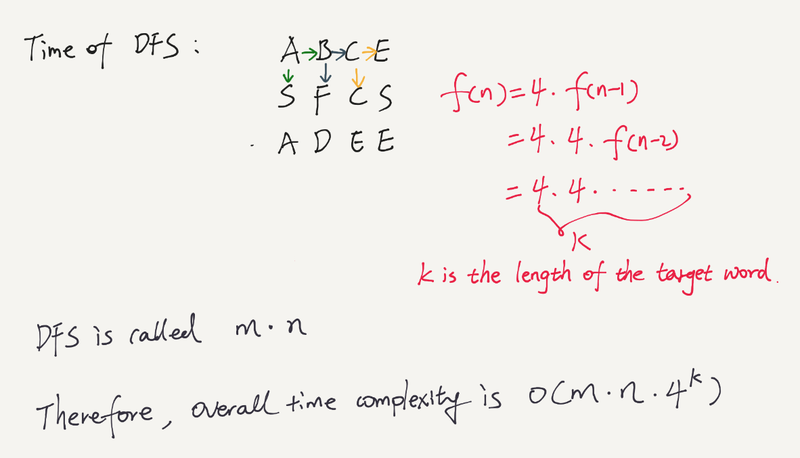 Similarly, below is another way of writing this algorithm. it means that you’ve reached the end of the word, and therefore you have found a path through the grid. Is there any advantage of using DFS here over BFS other than DFS is easier to implement with backtracking? Why is the following check being done?